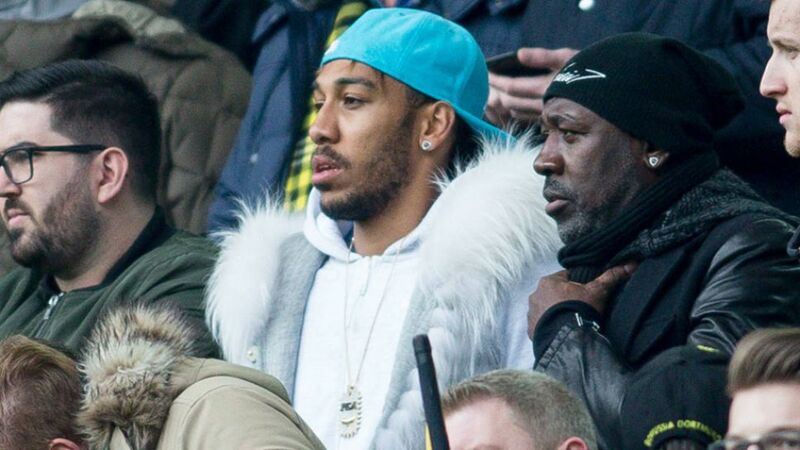 Despite missing Borussia Dortmund's 1-0 victory over Hannover 96 through injury, star striker and style-icon Pierre-Emerick Aubameyang was certainly the centre of attention in the stands with his latest eye-catching outfit on display. A foot injury sustained in the DFB Cup match at VfB Stuttgart midweek consigned Pierre-Emerick Aubameyang to a role as onlooker for the visit of bottom side Hannover 96. But the striker was certainly not on the sidelines during the game as his latest fashion incarnation captured the attention and made him the talk of social media. German comedian Oliver Pocher was impressed with Auba's outfit, joking that "the cross between Knut the polar bear and a bedside rug is SENSATIONAL!" And the outfit didn't go unnoticed by fellow Bundesliga clubs either. FC Augsburg felt they spotted a reference to their club nickname 'FCA' on Aubameyang's necklace.